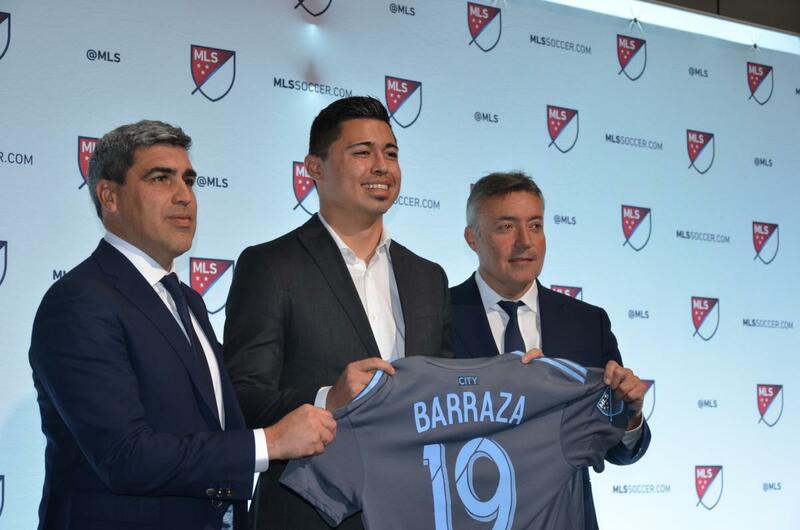 The first round pick for NYCFC, GK Barraza is now signed after his being the 12th selection overall. Luis stated, "It's a dream come true. I'm honored and proud to wear the NYCFC badge. It's one of the happiest moments in my life." The team clearly wanted him, they traded up from 19 to 12 and sent $75,000 of GAM to the Galaxy to make the selection. Sporting Directior Claudio Reyna stated," Luis is a very good goalkeeper with a bright future. We think it's really valuable in MLS to have a very solid corps of goalkeepers." He spent 4 years at Marquette getting the Big East GK of the Year and selected to First Team All-Big East in 2018. HC Torrent stated "The reason we have 4 goalkeepers is because all of them have different qualities, He's comfortable when he has the ball on the ground." That is one of the reasons named by Gregg Berhalter for bringing in NYCFC starter Sean Johnson. Barraza comes out of the RSL AZ Academy as they won the U-15/16 USSDA title in 2013 and were #2 in 2015. NYCFC Sporting Director Claudio Reyna, Luis Barraza & HC Domenec Torrent, moments after Luis was drafted.